Most dogs love a good game of fetch, but fresh snow can be a bit of an obstacle. Watch as these two retrievers continue their chase after a tennis ball despite discovering how snow works. 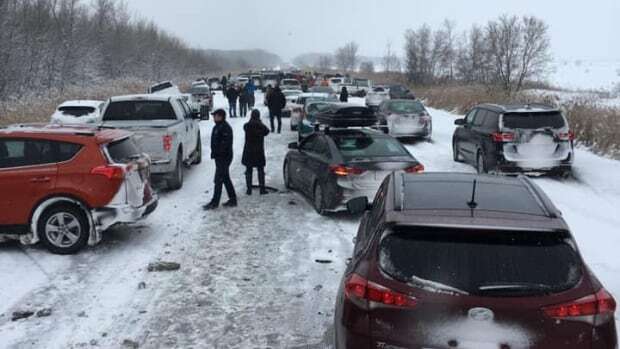 As blustery, snowy weather began moving into southern Quebec on Sunday, there were at least two major pileups on highways not far from Montreal involving dozens of vehicles. The owl became stuck after the vehicle hit the bird. A stealthy unknown artist made a giant snow bear on the Lachine Canal near Beaudoin Street in Montreal. But there's a mystery. Just how did the crafty creator do the belly button? From those who saw them making the bear…no hockey sticks, no brooms, no drones…they believe the footprints for the belly button were already there and they made the bear around them!!! Nobody noticed the bear is wider on the right side, so less distance from left to “belly button”. Second, perhaps more imp than the navel, the poor bear is crapping (center bottom footprints) while everyone talks about it’s belly! Avert thy eyes!! Just how did the crafty creator do the belly button? 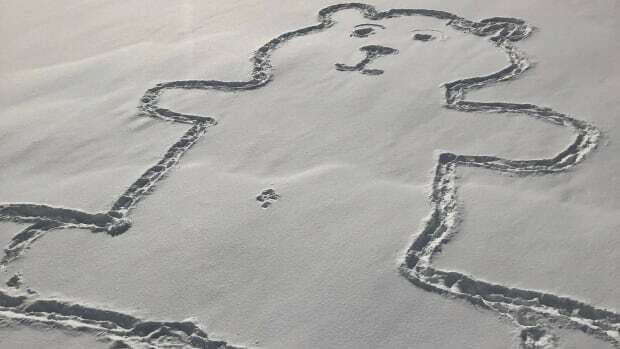 Judging by the footprints in the snow below the bear, I think it is entirely possible that the artist simply did a short hop to do the belly button. The bear seems to be located at the top of a rather steep hill. The canal is at the bottom and the road on the opposite side. The use of the word “giant” was used to prepare everyone’s brain into thinking that this was “giant” and not a lot smaller. An optical illusion. And @TerriB, did you miss this one? Even after reading the article I had to listen to the audio. Both gave me a chuckle. @TerriB might have missed that… maybe… but I saw it right away… One of my interests has been tracking various mysteries… and especially things that involve RFI … love tracking odd signals. Our RFI group (Ham radio) in Toronto often helped out the Industry Canada investigators my localizing problems for them… which freed them up for any end work… enforcement or correction of faults… beyond our ‘powers’. This is one of the things we pay taxes to prevent by having and enforcing standards for appliances. A serious form of pollution often ignored. Edit: IC is now called Ministry of Innovation, Science and Economic Development they keep reinventing Ministries up here… no reason, just certain party actions… I forgot… we worked with IC. Got bit just now by the repeat fairy… didn’t like the link… for the edit. I got several error notices from Discourse that “there was a problem loading that page” with a radio button “Try Again” or it simply didn’t load the topic I wanted and instead loaded the last one I was on. At one point it took 3 tries to get to the topic I wanted. I think Discourse had too much catnip and had the hiccups. Seems to be okay now. As to the ministry’s new name, they probably thought the old name didn’t exactly “say” what they do. But with the new name, do they really have anything to do with “innovation”? Seems like they’re spreading themselves out a little. Beside that, name changes that I’ve noticed in a lot of agencies here in the U.S. is that the new names are so long. The old names were short and to the point. The new names seem to be an attempt to include everything that the agency does… even remotely. It’s like the names of some books now. In the “old days” most book titles were short and catchy. Now the titles seem to read like a summary of the book - as if a short title couldn’t say it all. Some book covers look like abstracts. Oh, and Discourse refuses to let me post anything in the Tomnod Tavern because no has posted anything there since I posted 3 consecutive posts. Discourse told me so. It said I could either edit one of my posts - which is stupid because any edit would be off-topic from the original post and not make any sense… it would be out of context, or it said I could wait for someone else to create a post and it would let me reply to that. In our case, to be fair, it isn’t that anything changed, but the gov’t simply reduced the number of ministers responsible and renamed their job titles… then the names started filtering down… who knows, if they lose the next election, they will do it again… along with all the costs of changing websites, and letterheads etc. Discourse just flashed a page that said it couldn’t load the page I was trying to access (this thread from the link under my avatar which showed that Cagey liked my previous post. The error message only flashed for a second (this time) before it actually loaded the page. Maybe Discourse is cold? Earlier it would take me up to 3 tries before it would load the page. Weird! Nope I read it. I also read all of the comments about “jammers”, RFI groups, etc. I was going to post but forgot as I dealt with the new weather moving in. (It has been blowing like crazy since last night). 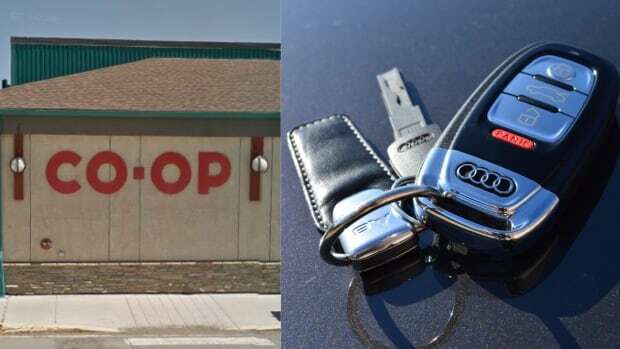 In areas where cars are stolen frequently, they have said it is the use of “jammers” so that once you start your car with the fob, they can steal it and keep it running and the fob will not turn it off? Does that make sense? Is that the same as they are talking about in the comments? That was so cool (no pun intended) the way the pants landed - and the way they spun around slowly as if to purposely show the writing down the side of the one leg. A one in a million toss! There is finally an answer to the question that captivated Canadians this week: How a giant snow bear got its belly button. Wow we talked about that as a possibility too! .